When you're (way) off the grid and need to check in with family, call for some anti-venom, or just update your Facebook status, make sure you're packing the Spot Connect ($170 + $100 year). 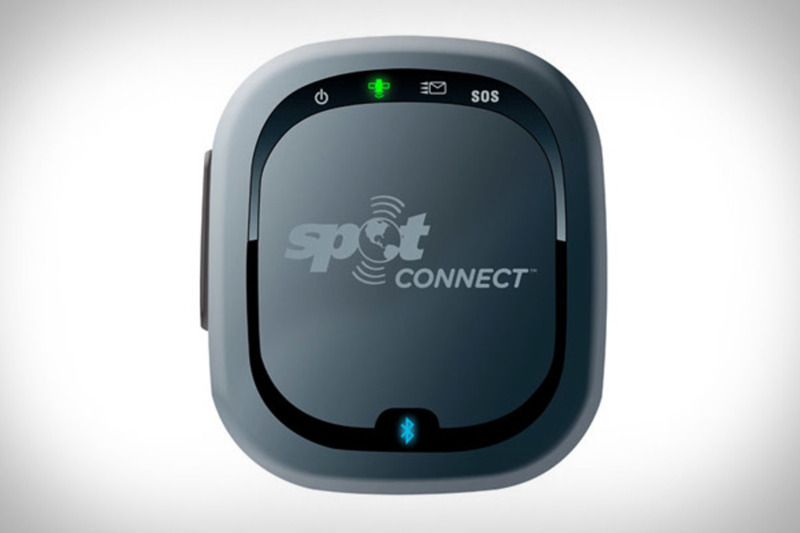 This small, waterproof brick pairs with your smartphone to hook you into the Globalstar satellite network so you can send messages and GPS coordinates from just about anywhere on Earth. It currently only works with Android-powered phones, but support for other devices is coming later this year. 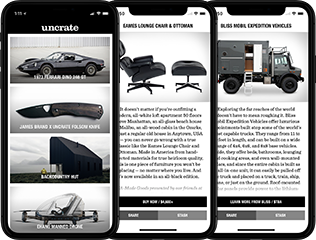 Judging by the piles of snow visible from the windows of Uncrate HQ, it's officially acceptable to begin shopping for winter toys — and the Porsche Design Bobsleigh (£170; roughly $265) is near the top of our list. 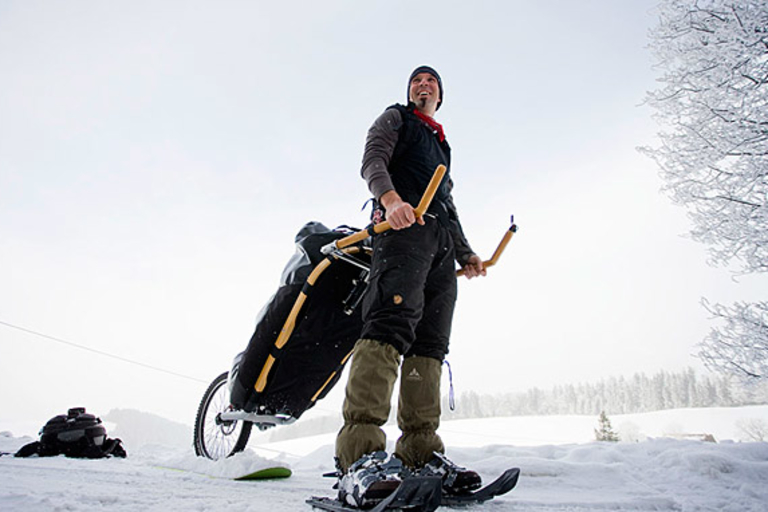 As a more affordable alternative to Porsche's Aluminum Sled, the Bobsleigh features a more aggressive design, a low center of gravity for ease of steering, superior directional stability, and an included carrying bag. Just go easy on the non-caloric, silicon-based kitchen lubricant. Carry even the heaviest of loads deep into the brush with ease aboard the Monowalker Hiking Trailer (€755; roughly $1,000). This specialized trailer employs a wood ash frame and drawbar, a Schwalbe MoeJoe tire with disk brake and a unique load bearing system consisting of a hip belt and padded shoulder belt to reduce the weight carry on your hips by half, making it much easier to pack your gear in and out while the break keeps the payload — and you — from falling back down the hillside on steep climbs. 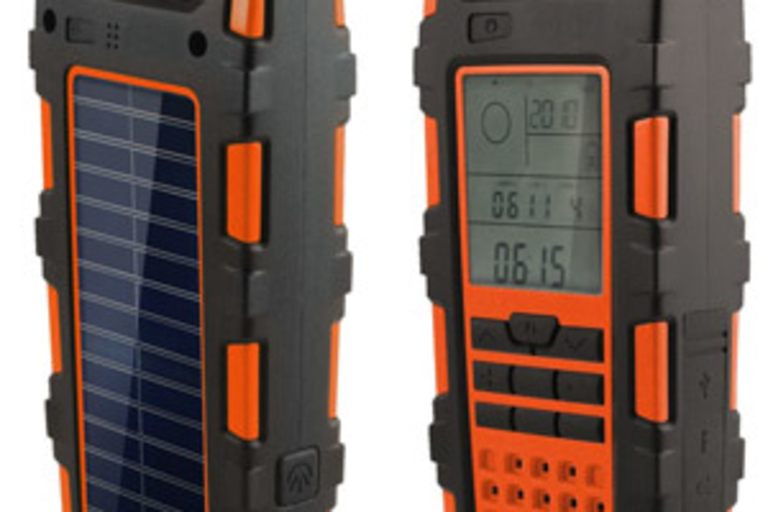 Great for hikers, campers, photographers, and snipe hunters. 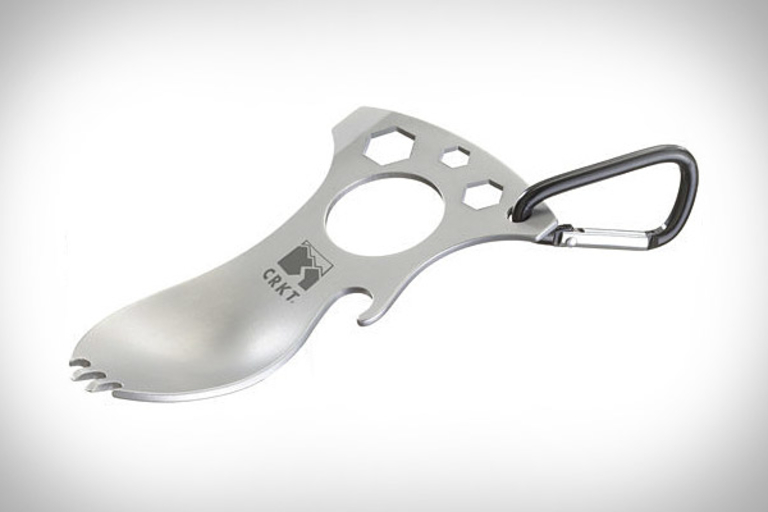 We'll leave it up to you to judge the wisdom of eating with the same tool that just helped you repair your mud-covered mountain bike, but if that description doesn't phase you, perhaps you should check out the CRKT Eat'N Tool ($4). This metal wonder serves as a spoon and short-tuned fork, but also packs a bottle opener, screwdriver blade, pry tool, a carabiner, and three metric wrenches into its tiny body, making it the only thing you'll need in your outdoor utensil arsenal. Carry a kettle with you on your next adverture into the wilderness with the GSI Halulite Ketalist ($30). 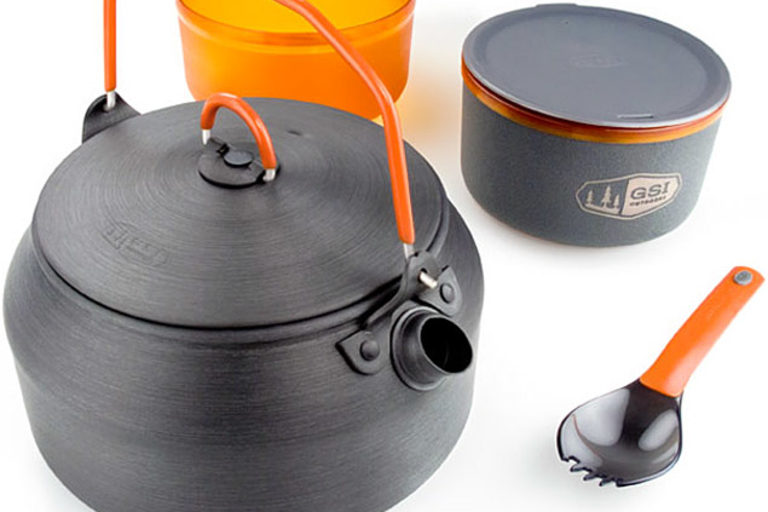 Made from a proprietary hard anodized alloy called Halulite, this ultralight 1L kettle lets you warm soups, makeshift stews, and even water on the trail, and includes a 14 oz. insulated mug, a 14 oz. bowl, a sip-it top, a telescoping "foon" — we thought it was a spork? — and a stuff sack for carrying purposes. When is a camper not a camper? When it's a Topeak Bikamper ($175). 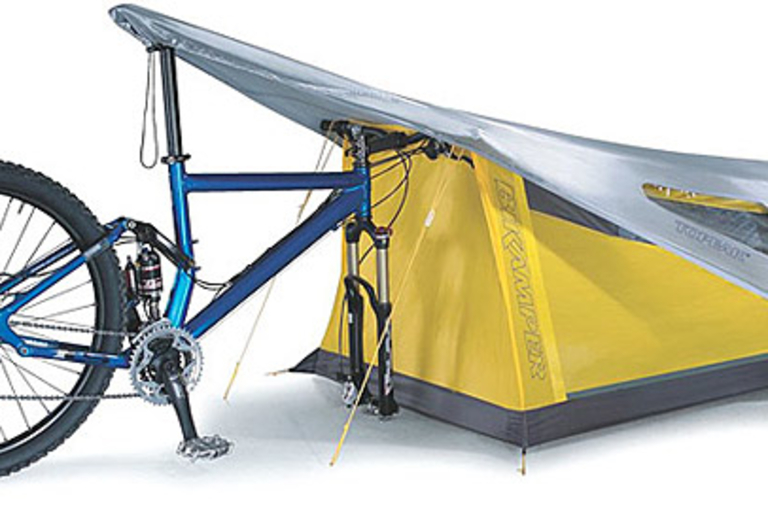 Designed to be used with 26-inch mountain or 700C road bikes, the Bikamper is a one-person tent that uses the bike's handle bars and front wheel to create its form, with a waterproof, 45D ripstop nylon canopy, 70D ripstop nylon fly, and the ability to pack down into a small, space-saving size, making it trivial to pack along on your next overnight ride.